Five smooth-running swivel castors guarantee excellent manoeuvrability and rock-steady stability. The top of the fan cover features a practical flat tray-like surface for oddments. The entire housing is made of impact resistant plastics. The NT 27/1 also features accessory holders and a hook for a tidely stored power cord. 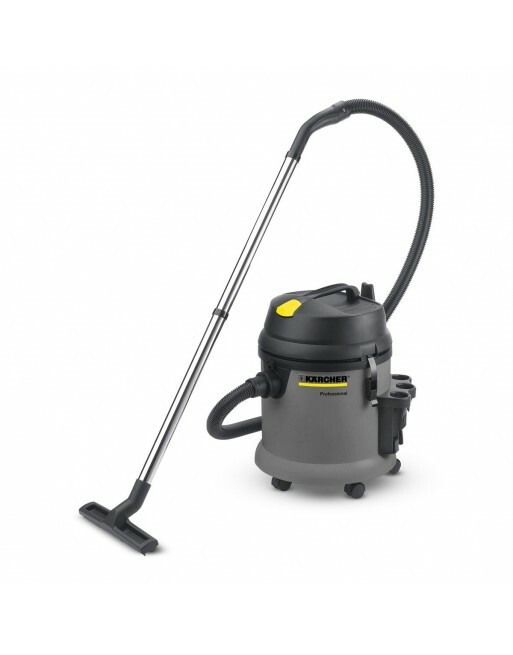 The ergonomically shaped carrying handle gives the unit a low weight and makes it convenient to transport. Complete with all accessories. The NT 27/1 has an all-round bumper which protects the machine as well as walls, equipment and furniture from damage.